My new website is up!! A must see. 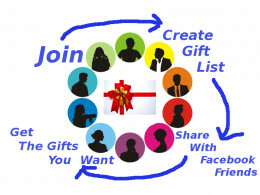 You create and share gift lists with your facebook friends. Come check it out. .I read this on face book and loved it . 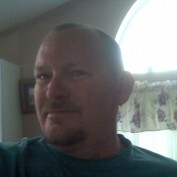 So I am adding it to my profile. "A positive attitude may not solve all your problems, but it will annoy enough people to make it worth the effort." Follow her for some great ideas. One thing I want to say about my screen name. I know it is weird here is the break down. bmcoll3278 B my first initial M my wife's first initial coll Part of our last name. 3278 last part of the first phone number we ever shared. So that is our wield handle . Chronicle of a website. the building of a website,from beginning to end. 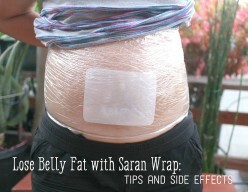 Learn about the stomach wrap method using saran wrap around your belly to burn fat, and other diet tips.